As we enjoy the summer flying season, your club’s flightline (and sometimes everyone’s nerves!) can sometimes start to heat up. What are the top flying-field etiquette tips you wish your fellow RC fliers already knew? Here’s a start … and don’t hold back! Don’t touch OPP (other people’s planes) without permission. Follow the club’s noise/time regulations. Always return the tools you borrow (or bring your own!). Announce when you’re taking off, landing, etc. Be patient, especially to newcomers at the field who have a million questions. These are good,,,,,but a big one,,, fly the pattern when other people are flying and do you 3D the other side of the runway when others are flying also. Don’t smell like a still, or use foul language like you just turned 13. And maybe take a shower once or twice a month. Too many jerks at clubs, that’s why I dropped my memberships and would never take my teen for a visit. I think you NAILED it with “Too many jerks at clubs”. That’s why I fly alone, where I go. Don’t use foul language! I no longer take my 8 year old with me to the field for this very reason. We want young people to get into the hobby, right? 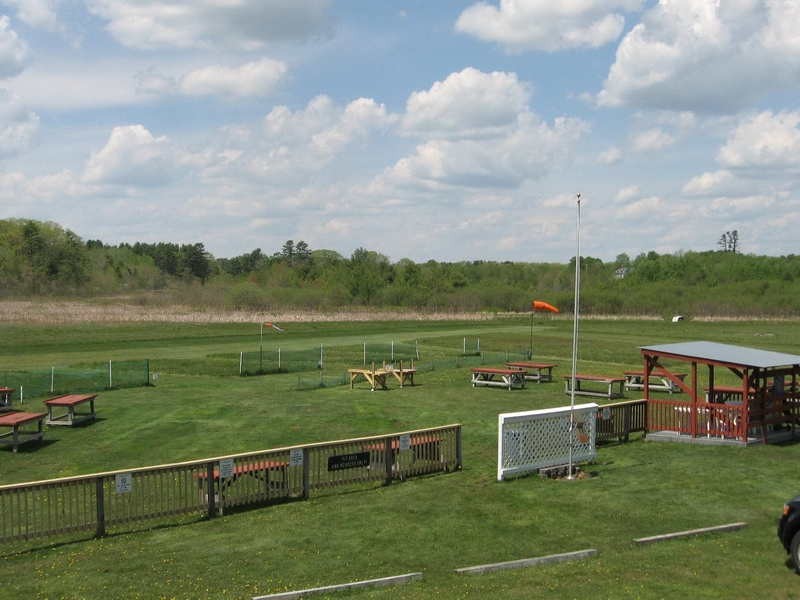 Dont have any problems at our club fields. I still like to fly alone. I try to get my flying in early. That way when other people show up Im wrapping up. I’ll stay after Im done to watch other guys fly for a while. DON’T fly your heli 5 ft in front of the flightline while others are flying! I don’t know where you have flown or visited, but “all members” of the 3 clubs I fly with ALWAYS INSIST ON “NO DRINKING OR FOWL LANGUAGE”. That type of behavior is NOT CONDONED. They will be asked to move on down the road! I belong to two clubs and these issues have never presented themselves! It is as much a social event as a flying event for the most part. We do as much talking as flying in other words. I would like to add some thoughts to the rules such as: When you arrive check out the direction of take-offs and circling. It helps if everybody is going the same basic direction. next adhere to time limits, with busy clubs there can be lots of fliers and everyone should get a chance at the field. I try not to fly if there are already five or six planes in the air. Lastly have fun and engage the hobby, it is not a business report due in two hours! Moved from a small town with a really friendly club to a big city with a not so friendly club, kinda cliquish in fact. Normally, tho only members I’m able to strike up conversations with are fellow newbies to the club and they express the same sentiment as me. So, whenever I do find the time for a few flights, I fly alone (even tho there’s quite a few regulars there). Don’t harass the noobs. There is always some guy with an overpowered warbird (like a Dago Red) and they will buzz the poor noob’s trainer. Of course they are not going to hit him (most of the time that is) but the poor guy doesn’t know that and scare them into crashing. Or you get the grouches. Ask them how to do something and they tell you trial and error (that’s the way I learned dadgummit)and then if you mess it up, they are Johnny on the spot with their (often unwanted) critiques. This is not as much of a problem as it used to be since 2.4 Ghz but you will get some guy who decided that the person who is flying on “their” frequency has been up long enough and they pull the pin and make a half hearted attempt in the pits asking who does this belong to (instead of asking the guys on the flight line). They turn on their radio and that is when things get interesting… and of course they deny it was them that did it. The guys who bring their dogs or very young kids and don’t watch them. I have seen a few dogs relieve themselves on someone nice airplane. Or the kids manhandle someone’s stuff thinking they toy’s that are up for grabs. Can’t get mad at the kids, it is the parents fault for not watching them (same for the dog). I one time saw a guys dog steal someone lunch. Then you have the railbirds (the guys leaning on the fence that NEVER fly but are experts (just ask them). They offer up all kinds of advice to the noob’s (and it mostly results in a crash) and of course it is the noob’s fault because they did not do it just right. Well I thought my club was a unique place when it came to the Riff Raff, (one small family group), that was responsible for all of the above, but not so as it appears this type of unwanted behavior is found in other clubs as well. I ended up on the clubs committee and enforced a code of conduct at the club in an attempt to stop this type of unwanted behavior. Eventually the Riff Raff got tired of not getting their way and moved on, so happy. But it was a trying few years for only 2 members out of a club of 40 willing to put themselves out there. What can I say, if I had to do it again I would draw up a mandatory code of conduct memorandum as part of every members application. Over the top, maybe, but the Riff Raff just don’t care and all they do is spoil it for those that do. Kick their sorry butts to the curb. People that don’t clean up after themselves is the only real problem at the 2 clubs I belong to. wow i am new to the hobby and reading these comments just make me want to find a place where there is nobody around, but it should not be that way i want constructive feedback on what i am doing wrong but it sounds like that wont happen so for now im goong to be a loner good flying everyone. Club officers who have no intention of encouraging growth because they are afraid it will become too crowded or people outside they’re narrow demographic will join. They’re killing the hobby. People who love to critique even though they can’t fly worth a darn themselves.